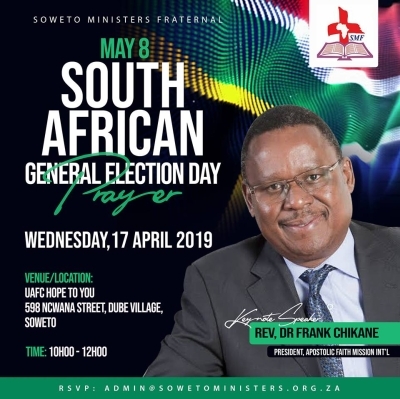 The Soweto Ministers Fraternal invites all South Africans to an election prayer day at UAFC HOPE to You in Dube, Soweto on Wednesday April 17. 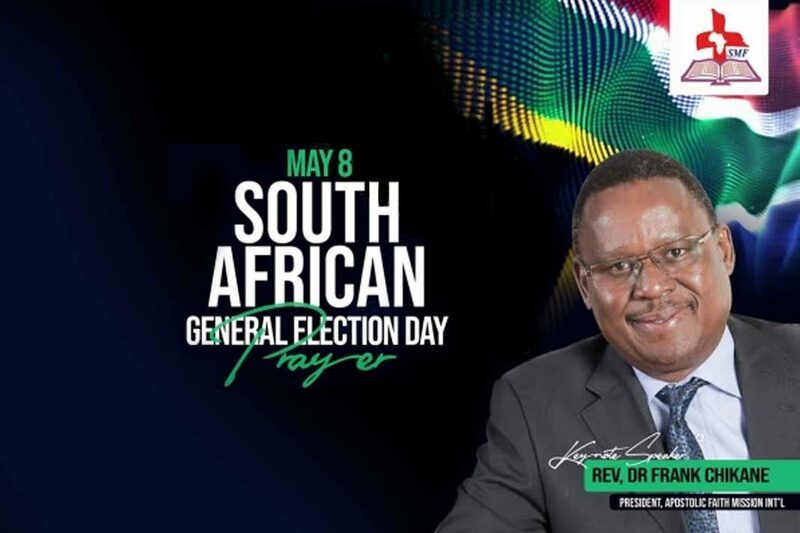 Reverend Frank Chikane, president of the Apostolic Faith Mission International in SA is the keynote speaker at the event from 10am to 12pm ahead of the general elections on May 8. 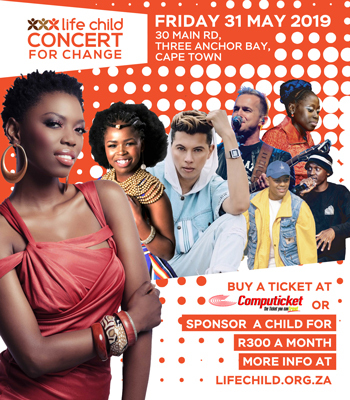 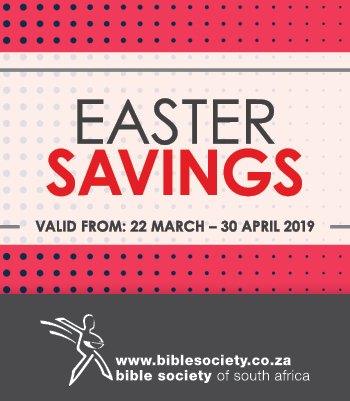 For more information contact The Soweto Ministers Fraternal by calling 087 943 8100, emailing info@sowetoministers.org.za or visit their website sowetoministers.org.za.